Available as low as $0.79 per oz over spot! The 10 oz Sunshine Silver Bar is an investor favorite and has been for quite some time. 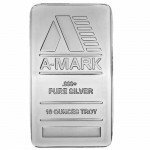 Its concise, detailed design combined with its high silver purity and of course its brand recognition makes it a highly sought out piece when it comes to larger sized silver bars. 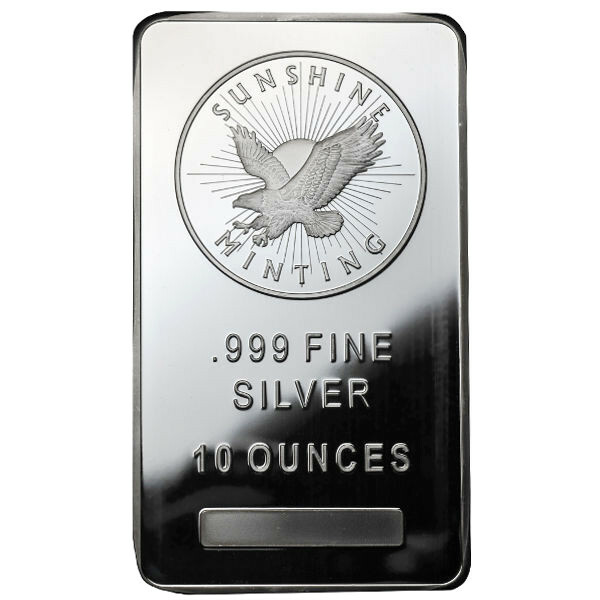 In terms of format, the design of the 10 ounce Sunshine silver bar is fairly standard, boasting the weight, purity and mint logo on the front. 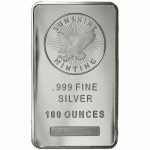 The .999 purity and 10 ounce weight are clearly distinguishable on the bottom half of the bar while the top half prominently displays the beautiful Sunshine Silver Eagle logo which has become a hallmark of the mint. The back side of the bar boasts a diagonal pattern of rising sun images. This feature is found on nearly all Sunshine silver bars, most with a V2 anti-fraud device located directly in the center of the back side of the bar. When viewed through a Sunshine “Decoder“, the anti-fraud device will show “Valid” to ensure the bar is legitimate and pure. This is just another minting feature which separates Sunshine from other mints in the industry. Sunshine Mint is relatively new in comparison to other mints, having only been in business since the 1980s. They are yet another mint based out of North America, in Idaho. It is appropriate that Sunshine calls this part of the United States home, as it is one of the most silver-rich parts of the country. 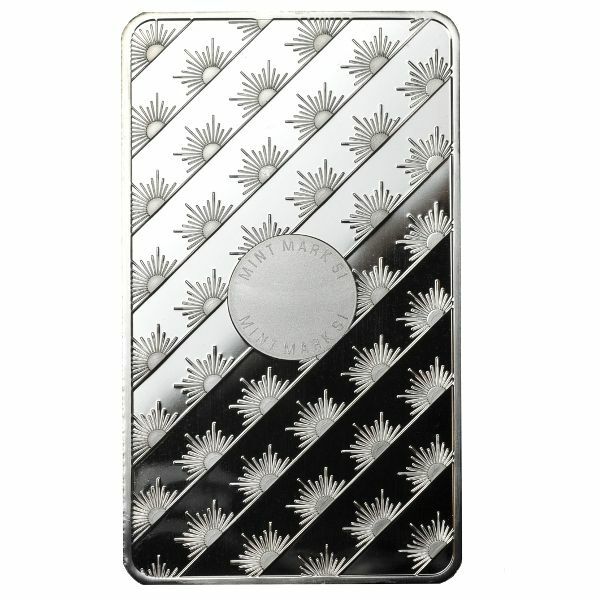 Upon purchasing the 10 ounce Sunshine silver bar from Silver.com, it will be quickly and discreetly dispatched directly to your doorstep. In order to protect the bar(s) from damage during transit, your bar will be housed in protective plastic. This way you will have the peace of mind knowing your bar will arrive to you in the best possible condition. We welcome you to call us at 888-989-7223 should you have any questions. Received my Sunshine 10 oz bars yesterday. Very nicely packaged and sent promptly. Will be ordering more soon. My first order from Silver.Com was for the 10 oz. Sunshine Silver Bars. You never really know how your order will look until it arrives. I must say that I could not be happier with my order, the service or the speed in processing. It was such a great relief to have my order arrive exactly when they said and individually protected in flexible plastic sleeves. They are beautiful! I had my fingers crossed the whole time until they arrived. I am so relieved that I chose Silver.Com. Fast, reliable service and a product more beautiful than any catalog picture could possibly show. I was so overwhelmingly pleased with my order that I made a second and third orders within the same month. All of us hope that we get what we paid for, comes without complications. Silver.Com did it better, faster and a just little cheaper than any of the other companies vying for our business. I have recommended Silver.Com to my family and friends and positively know they all will be extremely satisfied with any order of any precious metal. I highly recommend recommend Silver.Com to anyone, either an experienced metals purchaser, or like me – just starting out. My second order is en-route. I made my third order this week for a three order total of 700 ounces. Silver.Com is one company you can trust to do everything correct – the first and every time you order. A highly professional company that takes “service” and “products” very seriously. They are now and always shall be my precious metals provider! JUST GOT MY FIRST ORDER FROM SILVER.COM FOR THE 10 OZ. SILVER BARS. THEY ARE BEAUTIFUL ! !GREAT SERVICE ! !WILL BE BUYING SEVERAL MORE. THANK YOU !! DON IN NEW YORK STATE. Third order from Silver.com. Outstanding service!!! Good communications, fast shipping with excellent packaging. All products as described….no hesitation recommending doing business with Silver.com. First time ordering online. It went without a hitch, very quick process from ordering to delivery no problems at all I will order from Silver.com again. Thank you. 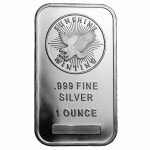 I highly recommend SILVER.com and Sunshine silver bars. The Sunshine 10 oz silver bar is the best bars I have bought to date. They are the only bars that absolutely have no imperfections. Truly beautiful silver bars of which I will most certainly be purchasing more. Additionally, this was my first order from Silver.com and the experience was excellent including the best price, a flawless online system and a timely delivery for the industry. 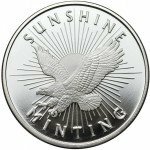 I will most definitely become a returning customer of both SILVER.com and Sunshine.